Sony Xperia Z is my dream device and is same for almost everyone. I want a device which is water proof, sleek, has good sound quality, better and crisp display and Sony Xperia Z has all the features I need. Sony Xperia Z is one of the finest devices in the Android world. The device has a 5.0 inch capacitive touch screen display which is dust and water proof display (IP57 certified) up to 1 meter and 30 minutes, which is very nice for people like me who watch movies on their devices and take them everywhere. Multifinger support of this device is awesome. 10 fingers! Yes, you can touch on this device with 10 fingers and it will recognize it. With the full HD Display of 1080 x 1920 pixels, it has 441 ppi pixels density. It has been added with xLoud, Bravia Engine 2 and many other customisations. It is also a gaming mobile phone because it has 2 GB RAM, Qualcomm MDM9215M / APQ8064 (depens on the model) Quad-core 1.5 GHz Krait CPU which guarantees super fast performance. Sony likes Adreno GPU and again, they have added Adreno 320 GPU in Sony Xperia Z for gaming and better graphics. Other specifications are also decent, but I am now going to talk about CyanongenMod 11 ROM. What are the featuers of CyanongenMod 11 ROM? The ROM has features that you will never ever get in your Stock or OEM ROMs like Focal, DSP Manager, CyanongenMOD settings, Theme support Modified, zipaligned, faster and stable applications etc. Why to shift over CyanogenMod 11 ROM? Bored of stock camera appliaction? Get a new Focal application which has tons of features for camera. Bored of stock UI? Get a new look which is customizable a lot! You can customize your notification bar, OSG looks, glows and other UI options. Want to change ROMs because you want to change the themes? Get this ROM and change over 1 millions themes all over the world. You can change between many themes in just some seconds. Want to get BASS? I like the ROM because actually of DSP Manager. Awesome bass will shake your mind and they are real bass not fake. Rooted Sony Xperia Z: Click HERE to see how to root Sony Xperia Z.
Sony Xperia Z with clockworkmod recovery installed in it. Nothing else, but just knowledge of using CWM recovery. CyanongenMod 11 ROM: Click HERE to get it from official CyanongenMod website. 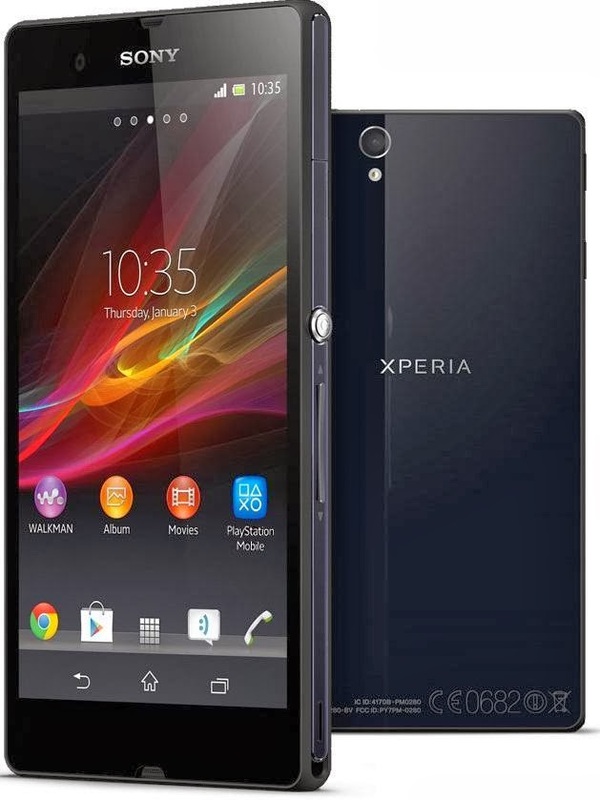 How To Install CyanongenMod 11 ROM in Sony Xperia Z and upgrade it to Android 4.4.2 Kit Kat. Download the ROM from your computer. Move it to your SD Card without extracting it. After rebooting it to recovery, make a nandroid backup from the main menu. Select Wipe data/factory reset option from the main menu and confirm the wipe. Select mounts and partitions from the menu and select /format system option. From the main menu, select install zip from sdcard option. Select the ROM from your SD Card and confirm the flash. Install Google applications, by selecting install zip from sdcard option, selecting the zip and confirming the flash. This boot will take more time than the normal boot because system is building some files that are required for the boot. You can comment here if you have any problem or anything you want to ask.